In this edition of Island Hopper I have combined February and March as I will be away on holidays. I know you are thinking that Phillip Island on its own is a holiday! On the What’s On calendar, there are some regular but great events coming up. One of my favourite events of the year is the San Remo Channel Challenge – a swim across the channel then a run back over the bridge to San Remo. A great event and a fun day at the carnival on the foreshore. The roar returns to Phillip Island Circuit with the Superbike World Championship and in March, the popular Phillip Island Car Classic. Check out the calendar and link for events that you don’t want to miss. 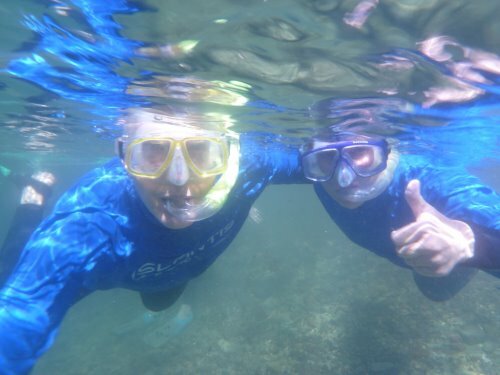 Recently I went stingray snorkelling with Outthere Oudoors. Stingrays are very regular visitors around the San Remo Jetty, probably attracted by fish refuse from the fishing trawlers as well as the daily pelican feeding on the beach near the San Remo Fishermans Co-op. It was a bit frightening when the first one swam under me but soon we were trying to touch them as they glided around not caring for our presence. Some onlookers thought the activity was dangerous but stingrays, if not antagonised, are very placid – just interested in cruising around feeding. If you like adventure, put this one on your to-do list! Many locals were disappointed when Rhyll café Temuko closed its doors. However, it has now become Shorebirds of Rhyll and, as with Temuko, a great place to have lunch or just a coffee. The name is very appropriate as patrons look across to the bay where there are always pelicans, swans, gulls or other seabirds feeding in the shallows or on the mudflats. After being open about 3 months, it now has a loyal clientele. 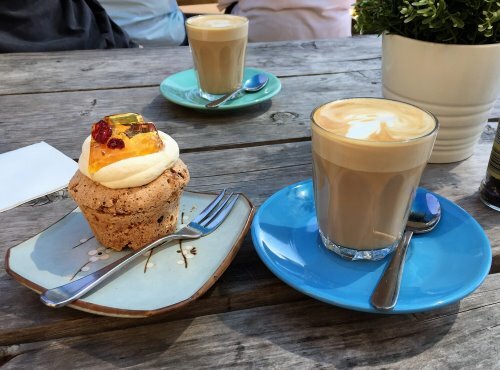 Drop in for breakfast, coffee and cake or lunch. Although the kitchen closes at 2.30pm stick around or stop by for nibbles and drinks until 4.30pm. For coeliacs, or those who are gluten intolerant, gluten free bread is available for breakfast, or in meals such as burgers. Some items such as frittata are gluten free, as well as some cakes. Welcome back to this Rhyll stalwart! Beach walkers along some of Phillip Island’s beaches in the summer, would have seen the signs and rope barriers erected to protect the island’s population of hooded plovers during their breeding season. In Victoria, there are only about 400-450 of these birds left so it is now listed as a threatened species. Unfortunately, this has happened because we have changed the way we use our beaches. We swim, surf, sunbathe and walk our dogs in or near their habitat – the high tide line. Already this summer, two chicks have fledged from Smiths Beach (although one was killed by dogs or crows). At Flynns Beach, they are still susceptible to predators until they fledge in February. Help this tiny bird survive by obeying the signs and stay clear of the marked area. •Hooded Plovers can sometimes gather up their eggs after a wave has washed them out of the nest, and often these eggs are still able to hatch. •During the summer, to keep their eggs cool in the hot sand, the parents wet their bellies in the waves and then sit on the eggs. •Adult Hooded Plovers never feed their chicks - they have to feed themselves straight after hatching. 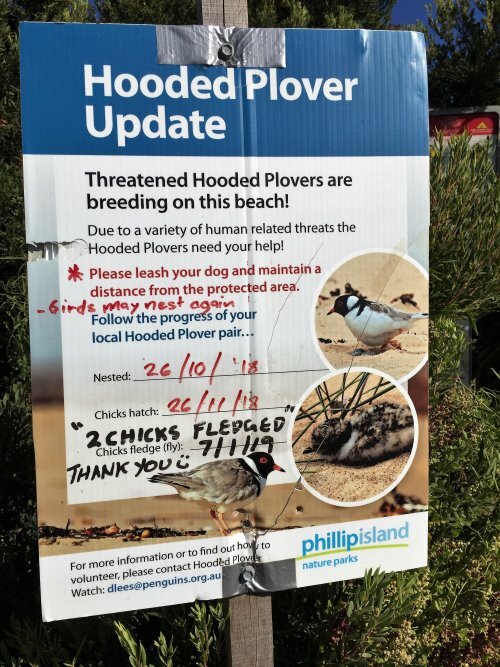 •When a predator approaches a Hooded Plover’s nest, the parent bird runs away, leading the predator off so that the nest is out of harm’s way. When far enough away from the nest, it flies back to the eggs or chicks, leaving the predator far away. •Sometimes when ‘leading’ a predator, the parent bird pretends to have a broken wing, by dragging it along the ground. In this way it is trying to make itself attractive to the predator and seem easy to catch, so that the chicks will be left alone.